First time to the market in 54 years! 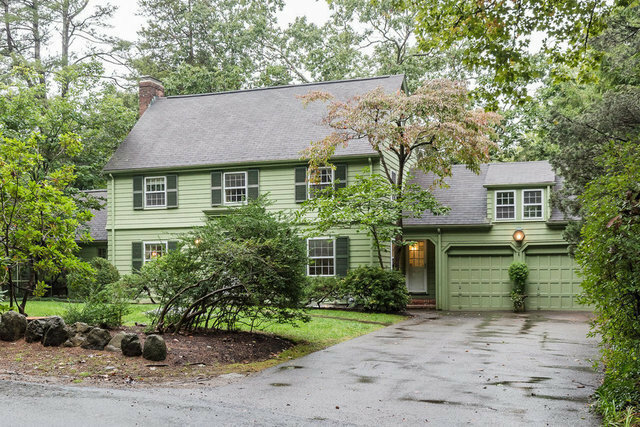 Classic Center entrance Colonial features 6 bedrooms with 3.5 baths. Located in one of Weston's most sought after neighborhoods minutes from Town center. Sited on wooded landscaped acre + corner lot with tons of privacy. Possible expansion potential to customize your dream home. Traditional floor plan with gorgeous cherry cabinet library, formal front to back living room with fireplace plus dining room with 2 custom china cabinets. Third floor has au pair suite potential. Lovely garden views from screened in porch. Plus 2 driveways. Easy access to major commuter routes and close to hiking and biking trails. Weston's top ranked schools.